Building replacement safety pool covers is a popular service that Lookout Mountain Tarp offers. This service is for pool owners who already have a safety cover that is no longer useable. The original cover included anchors that have been installed around the pool which are still in good condition and the pool owner would like their new cover to attach to these same anchors. As you have probably already noticed we build all of our covers with a 2" wide webbing (similar to a seat belt) instead of the 1" wide webbing found on most covers. There are several advantages to this design but having attachment options other than springs is the most rewarding. We recommend the use of ratchets which are stronger, easier to install, and offer infinite adjustment possibilities. These ratchets cannot be bolted to the 3/4" anchors included with most covers so we have created this upgrade kit which includes D-rings to loop around this style of anchor. 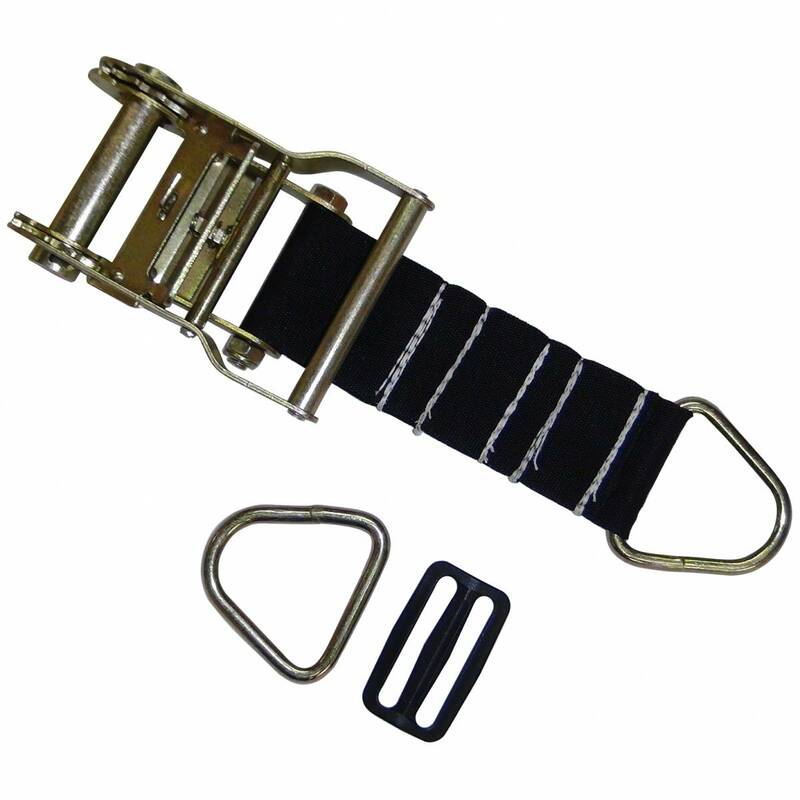 Each kit includes one ratchet, two D-rings, one slip-locks, and a piece of webbing which connects the ratchet / D-ring. Each kit will replace two springs. A minimum order of five (5) kits is required, which will replace a total of ten springs. One replacement spring / buckle assembly usually costs $12 so this upgrade will save you 54%, is stronger, works better, and is easier to operate. If your springs need to be replaced we highly recommend this upgrade.